So I did what I often do when faced with life’s big questions, I perused Facebook. Specifically, my saved items in FB that I have saved because they look really interesting and worth my time (but will actually take some time to look at so I decide to do it later and continue with the chitchat instead). So here is my attempt to explain why my isn’t my goal to make my children happy. Until the 1970’s, parent was only a noun (thanks for the info Jennifer): something we could be, not what we could do. This small grammatical change seems to coincide with an increase in the amount of work we apparently need to do as parents. So many objectives, so many goals, things we “absolutely must do” and things that we “must never do”. And that can be the same thing, the answer just depends on who you ask! Why should there be so much work? What is the point of all that running around, of the stress? I truly want my children to be happy but I also believe that we are responsible for our own happiness. So how can my children’s happiness be my goal? How can I make sure my children are happy? Take away their autonomy? Take away their independence? Replace it with instructions of do this, do that? How would I even know what to do for my children when I get lost and sometimes can’t figure out how to make myself happy? 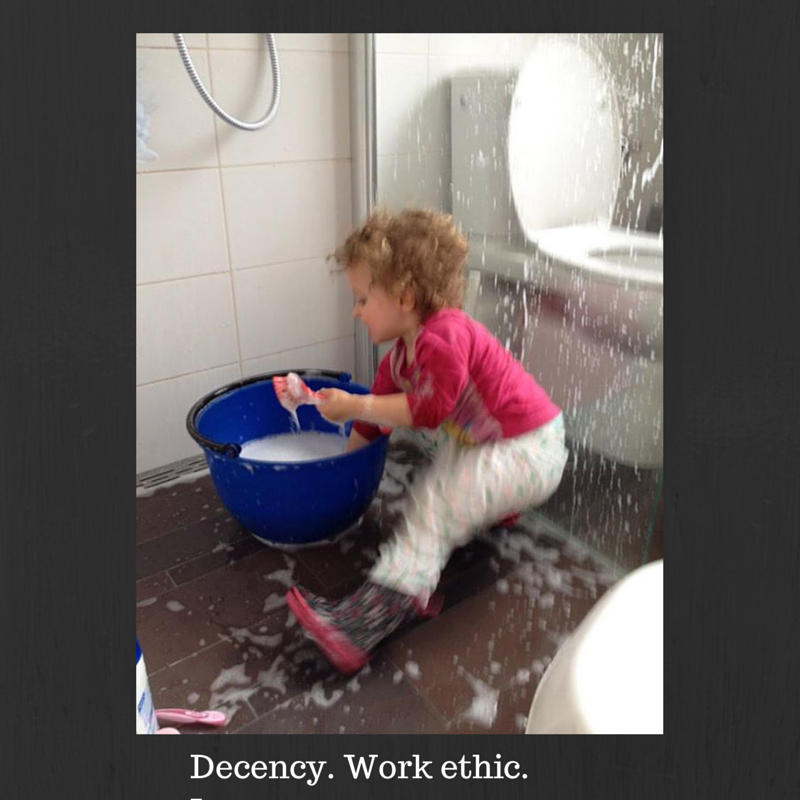 What if my goal as a parent was to teach my children decency, work ethic, love? Well, to start with, I know what to do to teach these. I can demonstrate decency, a good work ethic and love. I can explain what it is (to me at least) and encourage them to develop their own values. I can praise them when they practice it with a “you worked really hard on that”. How would I praise happiness? With a “well done, you are happy”? I think they would just look at me like I was a loon. Decency. Work ethic. Love. I can work with this. As I write this I realise this is exactly what my parents did for me. They taught me decency: how to treat others; how to behave in society so that my contribution is positive; how to stop myself being rude to the obnoxious colleague and still stand my ground. They taught me to work hard, work thoughtfully and to be proud of myself. They taught me how to love unconditionally by loving me and each other that way. And you know what? I’m pretty happy. I’m fairly confident. So maybe it works after all. p.s. I am not saying that I have the answer for everyone. This just feels right for me. This is just my response to that overwhelming feeling from society at large that I should be making sure my kids are happy and I just don’t buy it. Check out what Jennifer has to say. Think about it. That’s all. Categories: burn out, Family, parent | Tags: Children, creating confidence, creating independent children, happiness, Jennifer Senior, my goals for my children, Parenting, stress of parenting | Permalink.